Season 2013 is nearly upon us and the game is looking as exciting and interesting as its ever been. We have four new Coaches (Roosters, Eels, Warriors and Wests Tigers) and for the first time in the games recent past a fixed schedule draw for the first 20 rounds. Season 2013 will now also see four consecutive Thursday night games to open the season as well as the scheduling of 13 Sunday evening (6.30pm) games across the year. This is clearly subjective but I have 6 sides rated as likely Top 6 contenders and 3 sides I rate as likely to finish in the Bottom 4. I have listed the number of games each Club will face against these contenders and also-rans and provided a further opinion as to the possible difficulty or softness (on paper) of each Club’s 2013 draw. Storm, Knights, Cowboys, Rabbits, Bulldogs and Sharks. More detailed reasoning is listed below for each Club however in my opinion I expect these six sides to be the major contenders in 2013. Titans, Panthers and Eels. I expect these sides to struggle in 2012 and finish in the bottom 4. I also wouldn’t be surprised if the Warriors and Dragons finished at this end of the table. Broncos, Roosters, Raiders, Eagles and Wests Tigers. I have these sides rated somewhere mid table with two of them likely to fill the final two spots in the Top 8, the others finishing bottom 8. Of the more highly rated sides I have the Eagles missing the 8. I have broken the draw down into key elements that along with their own form will potentially favour, disadvantage and or impact on the season’s outcome for each club. Let’s cast an eye and opinion over each club and the potential pros and cons as we preview the coming season (in alphabetical order). Of Note: Lost 6 of their last 7 games to finish 2012; won only 3 of 13 games v Top 8 sides in 2012; Attack and Defence record has now slipped to mid table; Have 11 Friday night games in opening 20 weeks of 2013. 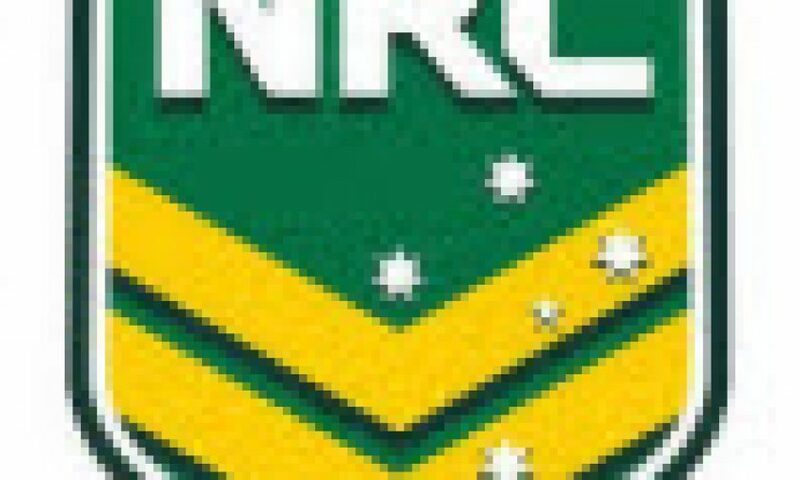 How would the Broncos fare post Lockyer in 2012? By season’s end not that well. 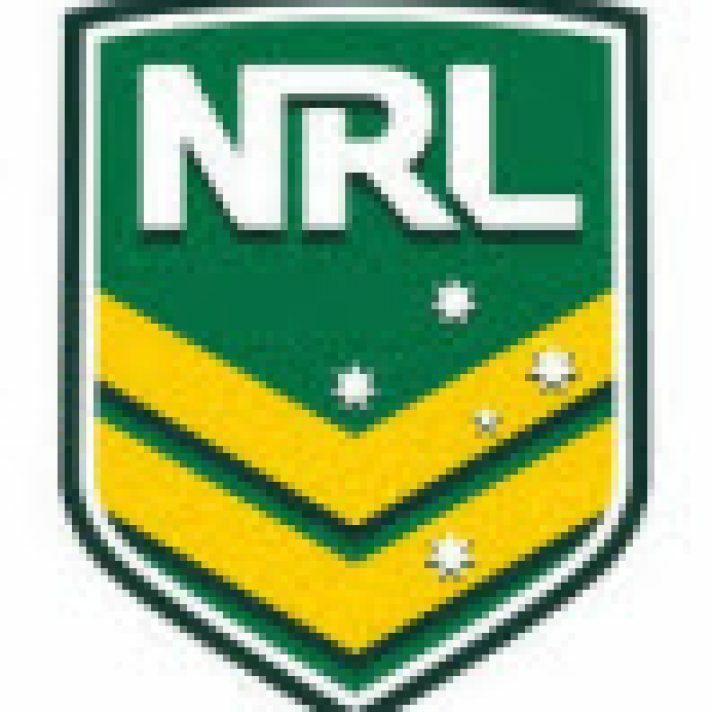 The Broncos list oozes young talent but the NRL season can be a tough long hard slog and so 2012 proved, however they will benefit considerably for that experience into this season. Prince is a positive acquisition and I think the “sea change” coupled with the positive enthusiasm of the youth around him might well see his form return to its best. I expect that he will play at 7 and provide additional direction, experience and kick options with either Wallace or Norman at 6 (and or Norman / Hoffman at 1). By mid year 2012 the Broncos attack pattern had become stale and predicable and for mine requires a significant overhaul for this year, signs of which Griffin started to show through the closing weeks of last year’s end. The Broncos have a positive Home advantage, the best member supporter base in the competition (home crowds) and a relatively soft draw with 11 Friday night games and 13 games with a 6 day or longer turnaround. Prince may well just be the missing link now in offering the experience and direction required post Lockyer while I expect their youthful talent will be much better for the experiences of a tough last season campaign. Of Note: Won their last 5 last year to qualify for the semis; Need considerable improvement in defence. Still leaking plus 22 points a game. Return of class playmaker Campese a potential plus; 16 of their first 20 games are Saturday/Sunday (consistent turnarounds); 7 of their first 11 games are Away. As I suggested in last year’s season preview, the Raiders are an enigma. When they are good they are very good but when they are bad they are awful. For mine the Raiders issues are in their head and attitude. There is no doubt the talent across their list, they have size, grunt, skill and speed and shown on occasions on their day they can touch up some of the best (Storm in Melbourne, Bulldogs at home; Sharks at Cronulla). But just when they have shown initial signs that they might have turned the corner they fold quickly when playing under expectation and pressure. They have a stable list and have added two young work rate backrowers in Foster and Edwards. If Campese can get past his recent leg injuries he is a class playmaker and game breaker capable of leading them on a winning finals bound charge. They should have (at times do) a Home advantage and will have the benefit 13 x 6 day or longer turnarounds and 16 weekend (Saturday/Sunday) games, but they do have a tough Away draw this season with 7 of their first 11 games on the road as well as at least 4 tough away legs. Personally I doubt that even the best crystal ball could accurately forecast the Raiders likely fortunes into 2013. Their talented youth should benefit considerably from the experience of 2012 but they need a significant improvement in defence and their ability (mental toughness) to play well under expectation. Certainly they could be semi finalists again. Forecast: Mid table, potential Top 8 but lots of guess work knowing if they’ve got their heads right for the challenge each week. Of Note: Barba – how long does he not play? T-Rex Williams a key acquisition; Finshed 3rd in Attack and 2nd in Defence in 2012, a solid platform on which to build. Significant home ground advantage. Tricky Away draw with a number of tough away legs. Hasler again stamped his class as a coach with his first year up results at the Bulldogs in 2012. Minor Premiers and beaten grand finalists and outstanding turn around on where they had been and all on the back of a fresh new and enterprising attack pattern! There has been some shuffling of their list with the mid year signings of Inu, Perrett and the arrival of Williams. The will face an immediate challenge to start the new season with two key front rowers (Graham and Kasiano) sidelined for a number of weeks (suspension and injury). The Bulldogs achievements in 2012 are even more remarkable when we consider that they finished mid table across many key stats and notably last as the most penalized team in the competition. I have no doubt that they will improve in each of these areas into the new season and have the benefit of Hasler’s longer term off season planning and preparation as opposed to his surprise and late arrival last year. Ben Barba’s availability and then quality of form longer term when he returns has now become the mystery question. He is a rare, class individual, a game breaker whose dazzling form last season had considerable influence on the Bulldogs winning run. He scored 23 tries in 24 games let alone the influence of line break, support and kick return play. I’m still happy to have a slice of the Bulldogs longer term off a guess that Barba might well play a big part in their season. They have a quality coach; a very talented list; a considerable Home advantage and the hunger and fire in the belly of the disappointment of a grand final defeat to drive their efforts this season. They may well start the season slowly but I still expect them to finish Top 4 and all being well to then give September a real shake. Forecast: Top 4 and then Title contender. Look who’s been on a shopping spree!! 5 key off season signings has strengthened their list considerably, in particular their attacking prowess across their outside back 5. Coach Flanagan continues to impress with the work that he has done through the last 2 yrs; reshaping their list quality and depth and improving their onfield performance which then resulted with a top 8 and semi final appearance last year. Of note their improvement in defence (down nearly 5 points a game and an improved rating as sixth best in the comp). I think the signings of Lewis and Gordon though are significant. Lewis is a class act. He has been one of those rare individuals that can stamp themselves on their team mates and the onfield team performance. He also has the versatility of being able to play a range of roles and positions. I’m sure that in good form he will prove a very astute purchase. Gordon looks another rare talent as well, very skillful, I think we are yet to see his best and he’ll have far more opportunity for impact from the likely fullback role. Carney’s return from a serious injury and in particular the quality of his form will be instrumental in their longer term fortunes. He was in very poor after the Origin period last year and the Sharks felt the impact of that at club level. The Sharks success on the road will be a telling factor this season (and it’s been a longer term issue). They start the year with 6 of their first 9 games Away, including a run of 5 straight (rounds 5 to 9). They also face a number of tough away legs and 5 games (home or away) with a 5 or 6 day turn around. I like the look of where the Sharks are headed in 2013. They have bought well, strengthened the right areas and have a positive season (2012) on which to build. I actually think they over achieved last year in making the 8 and playing semi final footy given the obvious weakness that they had on their outside edges and with quality depth and the reliance on a couple of key individuals (Gallen and Carney). They look far stronger and have added quality to their edge play and additional class in Lewis and Gordon. Fans should well be excited about the months ahead. The Sharks look a strong top 6 side. If there is a question mark it will be their ability to cope longer term with the “workload, wear and tear” of key players through their Origin and a tough Away draw commitments. Of Note: Loss of experienced play maker Prince; 13 Away games (12 x distant / interstate); 10 games v potential top 6 sides; questionable depth. 2012 was a tough gig for the Titans with so many negative off field issues at play (including in what form they might survive as an identity) and it would have been a relief to have most of this now settled and able to now focus on how they then move forward. But the new owners and management still have a major task at hand to turn the club into the professional and competitive operation that they would desire, a task that doesn’t always happen quickly. As for 2013 I have the Titans pegged as a significant risk. I have question marks over the quality, depth and experience across their list to be able to mount a longer term challenge across what is a tough long season. I also question the lack of experience in key directional and play making roles of 9, 7 and 6 given the exit of Prince. They will rely on “rookie” players (albeit talented) in these critical roles and appear to have “on paper” questionable “list” depth, in particular across their back 5 and this depth will surely be tested with any run of injury and or Origin workload (Bird, Harrison, Myles and Taylor). The Titans also face one of the toughest draws available. They have 13 Away games, 12 of them tough distant legs with at least 4 tricky away combinations; they have 10 games v’s potential top of the table contenders and at least 6 games on the back of short 5 or 6 day turnarounds. On the upside they will have had been able to put key players (Idris and Taylor in particular) through quality, injury free off season programs in preparation for the challenges ahead. I can’t place the Titans anywhere else than as a bottom 4 side. Rarely do sides win consistently at this level with inexperience at 9, 7 and 6 while I’m sure their squad list will be well tested. I expect that they will again struggle on the ‘road’. The Titans are a favoured choice in most “Wooden Spoon” (most losses) markets, for good reason and I think by mid season Coach Cartwright may well be earmarked as “the first coach sacked” for 2013. Forecast: Bottom 2, my pick for the “Spoon”. Of Note: Considerable playing list change and rotation; Significant loss of top grade quality and depth; 7 Monday night games. This looks a lot like 2010. A rebuilding, reshaping year with significant player list rotation. What the Eagles do have is 5 quality, class individuals around which they build their side (and success) – Lyon, Glenn and Brett Stewart, Foran and Cherry-Evans. But the expense of such quality players can come at a cost in how any club looks to balance their top players. What they now look to be struggling with is the depth and quality of player to put around this to be a competitive force, with the loss through 2011 and 2012 of some 9 top grade players (including the likes of T-Rex Williams, Hopoate, Rodney, Lussick, Whare, etc) and a massive rotation across their top playing list. Age and injury issues may also hurt the Eagles 2013 fortunes, with Glenn Stewart now likely to miss up to 8 weeks of the start to the season due to injury while Lyon, Brett Stewart and Watmough have each had their own share of injury issues. The Eagles do enjoy a considerable Home advantage at Brookvale and appeared to have fared well with their draw including 5 games against potential bottom of the table contenders. They have also been allocated 7 Monday night games but the majority of these have been positioned in two blocks of 3 at least allowing for consistent 7 day turnarounds. For mine the signs are already there and read quite loudly that the Eagles may well be a shell of days past and for mine a huge risk into this season. I can’t see them having the necessary “list” depth and quality to be able to compete week in week out across a long season. Certainly with their key 5 fit and available they will be competitive but that may well be a risk and supported by thin depth. I see a season on the slide and the Eagles missing the top 8 and semi finals footy for the first year in some time. Of Note: Outstanding defensive record; Considerable playing list change and rotation; Significant loss of top grade quality and depth; 7 Monday night games. Love them or hate them, the Storm’s record through the last 5 or 6 years has been nothing but outstanding. I think of even greater achievement is their defensive record. They have consistently been the best or second best defensive side across each of the last 5 seasons – a significant feat in the modern game (and done so with high rotations on their player list across most of those years). And once again they have numerous rotations across their top 25 list with 8 exits and 6 inclusions – each of them likely to play top grade and add additional depth. Bellamy’s record is also second to none in his ability to attract and then improve a player. I’m sure we’ll see something similar happen with some from this list. As they do most years the Storm face the additional challengers of a tricky draw, schedule and Origin commitments. They have a mixed draw, 5 games off the back of short 5 day turnarounds; a schedule that will include 7 x Thurs, Fri or Mon games and well as 9 weekend fixtures (meaning a weekly schedule that will chop and change often) and then the additional work load that the various rep commitments will carry. But their professionalism carries them along way each year (including the obvious premiership title last season), they win 8 out of every 10 games at home and year in year out carry a quality away / road record. As they have through recent years if the Storm can avoid any major injury issue to Smith, Slater or Cronk then they will be a top 4 contender once again. The experience or recent campaign (winning and losing) coupled with the obvious key individual class that they carry has to once again position them as one of the top few sides to beat. Forecast: Top 2, once again the team to beat. Of Note: Gidley returns from injury; Scott, Smith and Fa’alogo add key forward depth; good draw and should have a significant home advantage in 2013. I think we will see the Bennett polish come to the fore with the Knights in 2013. Last season was a learning curve for all concerned, in particular the coach in working out his list, instilling his message and work ethic and getting the “attitude” to where it needed to be – for which the evidence didn’t start to emerge until the last 3rd of their year. The Knights now have 3 key “ins” with the return of Gidley and the acquisition of hardened, experienced forwards in Beau Scott and Jeremy Smith (who are also notable “Bennett” men). They also look to have significant more depth across most major positions in particular their outside edges. I think the Coach also started to show his hand through those closing months last year of his preparedness to play a more expansive attack play to which his list is now well suited and I am sure we will see more of the same into the new season. The draw has been very kind to the Knights with just 6 distant away games; 10 games with a 7 or 8 day turnaround and 16 games across a Saturday or Sunday. They have also draw 5 games against potential bottom 4 sides. I’d be happy to suggest that on paper the Knights have one of the “nicest” draws available into season 2013. I also expect that they will be rebuilding their home ground advantage this year with a strengthened list and swelling local membership support which should see them with near 30,000 home supporters for most games. I like where the Knights are headed and I have them pegged as a significant contender in 2013. I expect them to finish top 6 and off the back of their “soft” draw would not be surprised to see them top 4. This season will see Bennett pass the record as the games longest serving coach first grade coach, I think come September we might again be singing his praises for his deeds in returning the Knights back to finals footy. Of Note: Another new coach; Key losses in Maloney, Brown and Luck? Inexperienced youth? Away record? I have major reservations and questions over the Warriors into 2013. They again start their campaign with a new Coach and an overhaul of their coaching staff and it would appear are wanting to back themselves on the talented youth that they have had coming through their successful U20’s program through recent years. That plan is going to be further tested with the key exits of Maloney, Brown and Luck and selective new signing activity. I’m sure that new Coach Elliott has two major goals penciled in for considerable off season focus and improvement, the structure and effectiveness of their defence and their appalling 2012 Away record. Defensively things fell apart for them last season slipping quickly to 14th overall and leaking at will some 26 points each week – the majority of this on either edge through inexperienced top grade combinations. On the back of a poor season their Away record crumbled to winning just 1 in 4, something that they had mastered in their prior two seasons (winning 1 in 2 away). 2013 won’t be an easier. They will start the year without Johnson at 7, need to sort out a choice and then combination at 6 while also hope that the experience of last season will have improved a number of their younger squad members. They will also face a tough Away assignment choosing to play only 10 games at their traditional home base (and so 14 road games). There is no doubting the talent across the Warriors list and through their junior program. Whether they have the right mix of experience and leadership to then perform as a winning contender might well be the question. The Warriors are a lot like the naughty school boy, when he’s good he’s brilliant but when he’s bad he’s bloody awful!! Personally I think they look a major risk this year and a likely bottom 6 side. Of Note: Is their window of opportunity now open? Big forward pack, class at 6 and 1. Home advantage, improved on the ‘road”. Two years ago, Coach Henry did a major clean out and reshape of the Cowboys list which has since seen them finish semi finalists (and some would argue unlucky not to have progressed further than they did in 2012). On the back of this growth and improvement the “window of opportunity” to compete as a top 4 contender certainly looks there for the taking into 2013. The Cowboys tick many boxes. A sizeable list of forwards (and depth) led by two international front rowers in Scott and Tamou; World class direction and game breakers at 6 and 1 (Thurston and Bowen) coupled with speed and skill on their edges. They have solved their issue of combination in the halves (with both Thompson and Moore) and hold a considerable advantage when playing at home. Their other area of notable improvement has been on the road, winning 8 of 14 last season (including wins at tough away venues like Melbourne, Canberra and Wollongong), however winning in Sydney is still a task (2/6). They will need to resolve a suitable combination at 9 with the retirement of Payne and loss of Segeyaro, Mitchell looks the obvious choice having played much of last season in that role. The draw has been kind to them with 5 games against potential bottom 4 sides and at least 10 games scheduled for Sat/Sun. I have the Cowboys marked as a top 6 side with the potential to finish top 4 and be a real contender in 2013. They have a good balance across their list, quality depth, size, class and speed plus the advantage of a long distant Home venue where they improve and many struggle to win at. I expect them to be giving September a shake once again. Of Note: New Coach; new signings (Lussick, Harrison); key retirement (Hindmarsh); major defensive problems (16th) and tough draw. The Eels are one of the four sides who start 2013 with a new coach, notably NSW Origin mentor Ricky Stuart, and as he keeps reminding everyone he certainly has a job to do that is going to take some years to turn around. With the retirements of a number of key top grade experience (notably Hindmarsh and Burt) and only two key new recruits in forwards Lussick and Harrison the Eels will be playing with a very similar list to last season while also blooding some of their own juniors. That certainly looks an ask, especially in defence off the back of leaking 28 points a week last season and finishing ranked at the bottom of the table for points against. Stuart has made it very clear that Defence has been his major off season coaching priority but whether a similar list of players can deliver that improvement will be key to their 2013 fortunes. The Eels also face a very tough draw, in particular their Away legs. They will play only 8 games at their traditional home ground (Parramatta stadium) and so face 16 “away” games off the back of a 13% away winning record across their last two seasons. Worst still they will face at least 6 tough away stints and 5 games off a 5 or 6 day turnaround. Hayne is critical to any positive or winning performance from the Eels. There will also be significant expectation about the form and attitude of Sandow, while they also have to resolve a suitable choice and combination at 6. The loss of Hindmarsh shouldn’t be understated either, his work rate and leadership has all but carried this side through recent years leaving a big void to fill. I’m sure we will see positive signs of improvement during 2012 but even so I still think there is considerable restructure and recruitment required that is going to take some years to complete. In all reality I can’t see the Eels being anything more than a bottom 4 side in 2013. Of Note: Huge player list rotation (again), some 15 players; Are Gordon, Lewis and Jennings key outs? The Panthers are another “work in progress” as Gould and Cleary stamp their direction on the shape of their player list and development program for the club into the coming years. Instrumental to this has been the exits for one reason or another of Lewis, Jennings and Gordon and the signings and rotations of some 15 players across their to 25 player list. Certainly they look to have made some positive signings notably across their forward offering, including Brown, Manu, Segeyaro and O’Donnell, while James Roberts looks a young player of considerable talent who could well break through and shine somewhere in their backline this season. Whether they yet have a quality game breaker on their list or the required class at 9, 7, 6 and 1 is doubtful. There is no doubt the turnaround required having finished 11th and 15th through recent seasons, their defensive stats blowing out further and a poor away record. They do have a good draw to work with this year with only 3 interstate or distant away games and at least 17 Sat/Sun fixtures so a consistency of routine and little travel will be a major advantage for them to work with. I like Cleary as a coach. Step by step he rebuilt the Warriors and moulded them into a consistent, winning unit including a Grand Final appearance only two seasons ago. For mine the Warriors made a massive blunder in letting him exit – a positive gain for Gould and his new work at the Panthers. After a year of sorting through the existing list and beginning the challenge of reshaping it toward his own plan, I expect that we will see further evidence and positive steps toward this through 2013. Although showing improvement and movement up the table I still think they are likely to be a bottom 6 side with the fruits of their labor a season or two away. Forecast: Improving, but still Bottom 6. Of Note: Top 4 contender in 2012; Key signings in Te’o; Lima; G Burges and Champion; Class of Inglis; Homebush Home advantage. Not many sides finish top 4 and then add quality signings for the following season yet the Rabbitohs have achieved this with only one notable loss in Dave Taylor. Te’o, Lima, George Burgess and Champion are quality signings that now add additional experience and quality to what was already a strong player list. Like the Cowboys the “window of opportunity” certainly looks open right now for the Rabbits. It could well be argued that they had underperformed through seasons 09 to 11 but under new coach Maguire they certainly stood up in 2012 as a contender, and with they should be further experienced off the back of a winning year and in being a top 4 contender. There needs to be two areas of improvement for the Rabbits to now become a title contender; 1) being able to consistently win against the top of table sides (poor in general in 2012, 5/13), and 2) winning distant interstate away games (1/6 last season). They do have the benefit of a considerable Home advantage now when playing at Homebush, winning 80% of these games last year and although choosing to move a few home fixtures this season they will still play at least 11 games there. Maguire made his intentions of play pretty clear last year, and we’ll see more of the same into the new season, lots of size and grunt up front, a power yardage and physical forward game, the class of Inglis’s attacking and or finishing raids, sleight of hand ball play from Sutton, all round quality from Sam Burges, there are many positives. I also think Te’o will prove a high quality signing. There’s a lot to like about the Rabbitohs chances in 2013. I have them marked as a top 4 contender and stronger than last year. It could all then being coming together nicely by finals time for them to give September an even bigger shake than they did last year. Forecast: Top 4 and title contender. Of Note: Thin on depth and quality across playing list? Halves combinations? After the success of 2009/10 are they still sliding in the wrong direction? Ongoing speculation over Coach. Well if the “window” is open right now for a few clubs one must worry that it has not closed, and quickly for the Dragons. Off the back of their success in 09 and 10 with an aging list their list management has been difficult if not questionable and reflected in their 2012 (and likely 2013) slide. Beale, Frizell and Drinkwater look promising signings but on the back of their poor efforts last season and the retirements of Young and Hornby the overall list quality and depth still looks a concern. The Dragons also have two areas that need drastic improvement. For all the pre 2012 season huff and puff of Price looking to change their attack patterns and be prepared to be more adventurous with their play the Dragons scored the least points of any team in the competition, a terrible effort for a side that finished with the title just two years prior. Their second issue was their horrendous Away record, winning just 3 of 13 road games (and a couple of those by skinny margins). The ongoing speculation about the Coaching role can not be a good thing for them in general, sooner or later there has to be a question over who the players are looking to play for, is it the existing coach or could it be someone else. This type of issue has destabilized many a club in the past, I’m sure it won’t be helpful for the Dragons in 2013. I can’t see the Dragons as anything other than a bottom 8 side, and it could well be uglier than that (bottom 4) as they look a shadow of their former self of just a few years ago. This season looks a year of transition as they resolve the coaching issue and reshape their playing list for the years ahead. Of Note: New Coach; key high profile signings – Maloney, SBW, Jennings, O’Donnell; next generation of talented youth coming through; tough draw? No doubt you are aware of the changes, signings and goings on at the Roosters as such has certainly dominated the media through the last 3 months!! And if you were a Roosters supporter you’d happily argue for good reason. They have bought astutely, strengthening key areas of need, personally I think Maloney and Jennings will prove key positional buys. Like him of not SBW is a class individual who will I’m sure win this team many games and have an influence much like Inglis does at the Rabbits. The Roosters also have the benefit of a range of quality youngsters who have been blooded through the last 12 months and look to have a lot of quality play in front of them. In short I think they have a very healthy list. The new coach comes with many positive raps from his prior time at the club and then his success at Catlans. He has reshaped his coaching staff and I’m sure will be his own man structuring how he wants things done. Hopefully discipline is a key factor in his portfolio, as through the last two years under Smith basic error and discipline has been the major downfall of this side turning numerous opportunities of success into defeat. They also don’t have the easiest of draws, with 5 short 5 day turnarounds and a number of tricky away legs. It’s now a matter of watch and see. I do think the Roosters will be big improvers, and with the list that they have having been a bottom 6 side for each of the last two years so they should. I expect them to challenge toward the top 8 and I wouldn’t be surprised to see them have a very good season – certainly the talents look to be there. Forecast: Big improvers, can make the top 8. Of Note: New Coach; Key exits with Ellis, Heighington and Ryan; Do they have the depth up front? I see more questions than I do answers with the Wests Tigers. They are the fourth club to have changed their coach, installing Mick Potter off the back of his many years of success in the UK. I rate Ellis as a huge exit, an outstanding forward and leader while they have made limited new acquisitions with Anasta the only one of note. I’m sure that Potter will influence a new style and pattern of attack, I’d expect with a much tighter control in attack so we’ll need to watch and see the impact of how this unfolds. I’m sure that he’ll be also looking to influence their defensive offering which has been rather loose through recent seasons in particular last yr leaking 23 points a week (and rated 15th). The Tigers hare a tough draw playing only 8 games at what I consider are traditional home venues (Leichhardt and Campbelltown); they have 7 games with a short 5 or 6 day turn around and at least 4 difficult away legs. My issue with the Tigers through the last 12 months was the ease with which they were worked over and opened up through their middle, leaving them forever on the back foot and or attempting to play catch up footy. With the loss of Ellis and Heighington they are going to need a number of fringe and or youngsters to really stand up and be counted if they are going to be a finalist contender. I’m sure Potter will bring a fresh approach to their play, and this change could well be just what they needed, and certainly with the class of Farah and Marshall he has much around which to play with but we’ll now just have to wait and see what they offer. Right now I have the Tigers pegged as a competitor for a bottom 8 spot, but with some competition! Forecast: Close to making the 8 – but no cigar! Right now I rate 5 sides (Storm, Rabbits, Knights, Cowboys and Bulldogs) as those with the right credentials to challenge for the final title. Prior to the Bulldogs having been dealt their recent issues with the questionable availability and longer term mindset of Barba I had them marked as the team to beat. I have two sides marked as major improvers, the Knights (top 6 challengers) and the Roosters (top 8 contenders). Both sides have bought well and have many credentials to now suggest them stepping forward with winning seasons. My notable slider is the Eagles, who I expect to miss the 8. They have had massive change across their list, have a number aging and likely to be at the wrong end of their career and ongoing injury concerns around key stars. The Dragons didn’t make the 8 in 2012, but I would not be surprised to see them on the slide further down the table as they resolve their coaching and rebuilding program. While the Eels and Panthers look a work in progress, continuing to make change with their key staff and or playing lists toward improvement they still look a season or two away from being a mid table and or finals contender. For varying reasons the Dragons and Warriors look short on experience and quality across their playing rosters and I expect are likely to finish somewhere in the bottom 6. I have nominated the Titans as my pick to finish bottom of table, they have had considerable change (mostly exits) across their playing list, look to have questionable depth and will rely on rookie players at 9, 7 and 6 to direct their season, for mine not a winning recipe. Weekly Previews – our first weekly preview for 2013 will be published online by 8am Thursday, and there after by 8am on the morning prior to the opening game of each round (Thursday or Friday). Previews for the opening 3 to 4 rounds of the season will be published free to view, betting lists and recommendations will not commence until round 4 or 5 as we let the early season form unfold and disclose itself. Subscription Packages – a range of subscription packages are available to suit everyone, Weekly, Multi 5 Week, Season Pass and or combinations with other website offerings of AFL or Horse Racing. Full details can be found here. Like to be kept informed? Free Website Membership and email updates > Free Membership. Published on March 3, 2013 in NRL. Published on 26th March 2013.